The XTAR PB2 Charger sets the bar high for battery chargers. It not only charges 18650 batteries, it also doubles as a power bank, due to its revolutionary design! It features a 2.1A USB output with a 7000 mAh capacity. It also features a protective magnetic battery door to ensure you batteries are secure on the go! 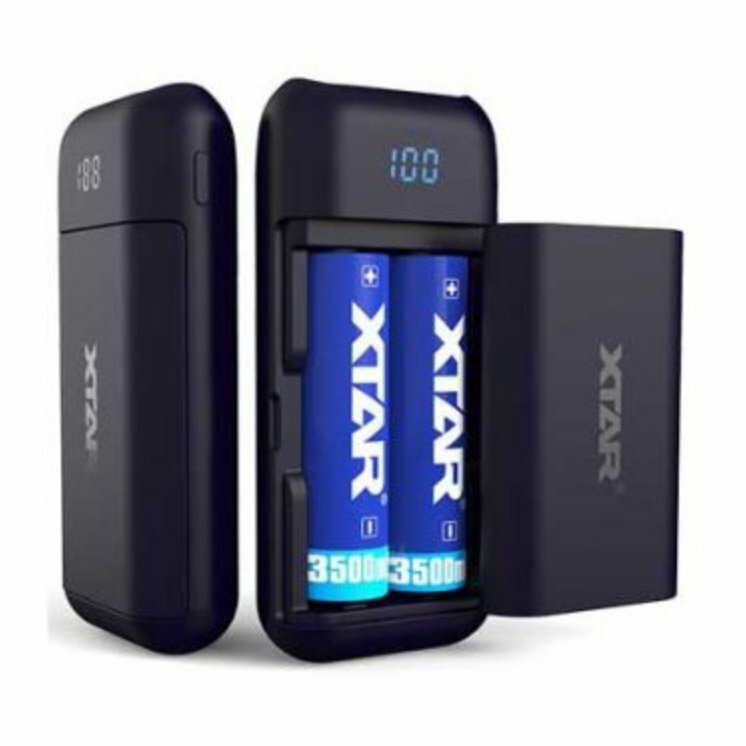 The XTAR PB2 offers so much more than traditional chargers, its innovative design, compact size and convenient portability make it a clear choice!